Two acrobats suspended from a trapeze. 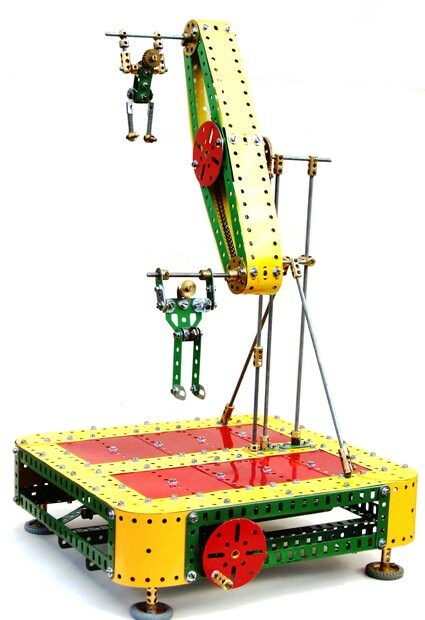 The rotating arm is mounted on a large platform and driven from a No. 1 Clockwork Motor.